Please note - that I will be at this event only until 1:00 PM! Susan Hanna has invited me to show my work on this special open studio day, at SEH Studios. Susan will be displaying many beautiful paintings in her lovely airy, studio space. I will have a selection of jewelry for you to browse and buy, with some special pricing for those who attend. This is a great event to perk you up from the mid-winter blues! Enter by the middle, main building door and follow the signs leading to the left. OR, enter by the East/Left building entrance, through the double doors and THERE I am! Parking: On-street meters are FREE WEEKENDS in Dover. Park on Washington Street in front of my building. Once you are on Washington Street, STAY STRAIGHT IN THE RIGHT LANE . PASS THE CHILDREN’S MUSEUM ON YOUR RIGHT. The Washington Street Mill parking entrance is immediately past the museum on the RIGHT. Designated Visitors spots are free. If full, park on the street right in front of the mill. Meters are free weekdays after 7 pm and all day Holidays and Weekends. Enter the Main Entrance and go left (East) down the hall to the intersection. See SEH studios on your left! I am pleased to be included in this fantastic invitational exhibition, showcasing the work of newly juried members of the League of New Hampshire Craftsmen. This is my first exhibition with the League, I was accepted as a full member in October of 2018. I have two pieces included in this exhibition. 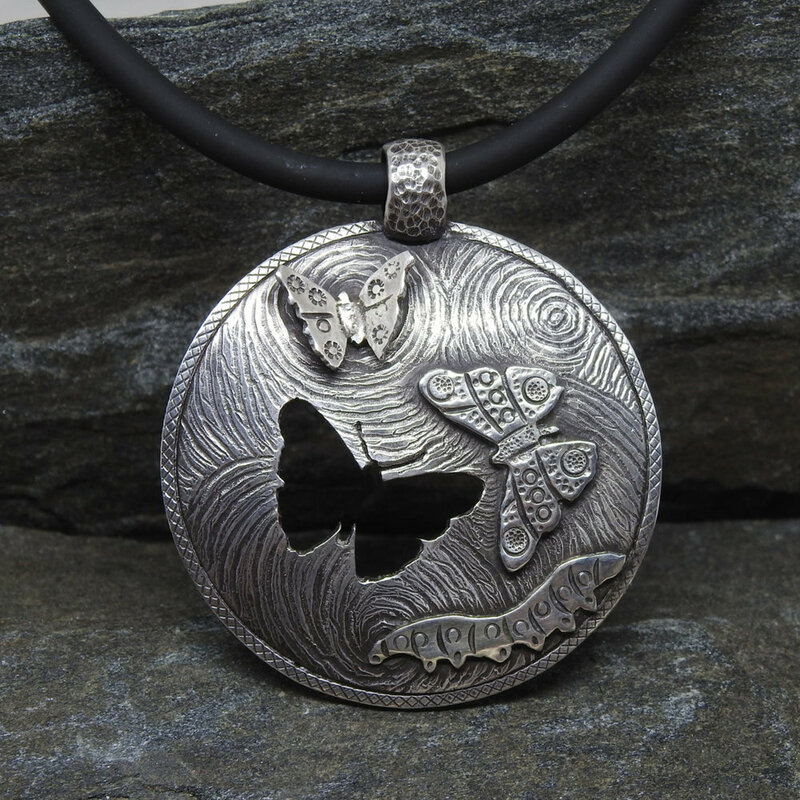 Both pieces are from my Natural Observations, Medallion Series. Please join me at the Opening Reception to Continuing the Tradition - an invitational multi-media exhibition showcasing the work of New Juried Members (including myself). I will have two pieces selected specifially for this exhibition. The exhibition will continue through March 22nd at the Exhibition Gallery at League Headquarters, 49 S Main Street, Concord NH. Please come visit me at the Lawrence Barn in Hollis, New Hampshire the first weekend of November for the Hollis Art Society, 11th Annual Art Show and Sale. I will be displaying current work for sale, and will have some special pieces that I am making just for this show. Both days of the weekend will be filled with art and excitement. Join me and a number of other artists for a POP Up Art Show and Sale October 20 and 21. Hood Plaza, Derry, NH - in the old 1/2 off cards location. This is a ONE time popup show. Browse & Buy, Support Local Artists and Shop for the Holidays. I will be there with a display of art jewelry for sale, to help you try things on and answer your questions. Please join me at Derry Homegrown Farm & Artisan Market. Held at 1 West Broadway in Derry, NH. I will be setting up a travelling jewelers bench, demonstrating traditional metalworking techniques, such as hammering, piercing, doming and more. I will be making jewelry on location, just for this event. I will have a selection of my jewelry available for purchase. Derry Homegrown Farm & Artisan Market is an outdoor farmers market in the heart of downtown Derry, NH. This year they have 25 vendors, of locally raised, grown and produced products, as well as a rotating brewery tent featuring local brews available to taste, wine tasting, live music, children's activities and a fantastic raffle for the annual Derry After Dark event. Please join me as I set up a working studio for this weekend show in May. Art in Action will be held at Mack's Apple Farm Stand 230 Mammoth Road in Londonderry, NH. I will be setting up a travelling jewelers bench, demonstrating traditional metalworking techniques, such as hammering, pierceing, doming and more. 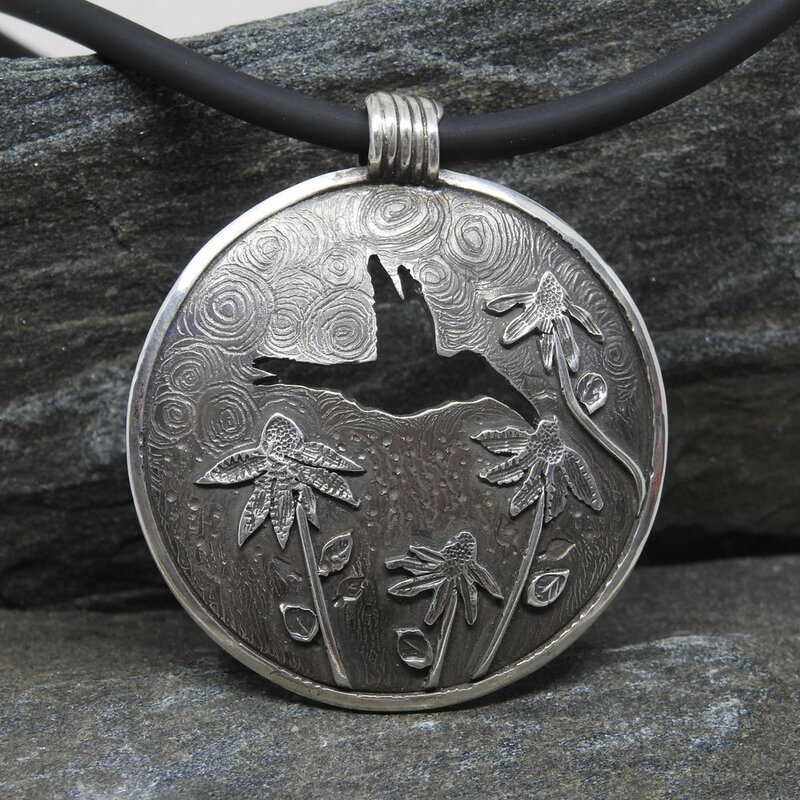 I will be making some jewelry on location, start to finish. I will also have a large selection of my jewelry available for purchase. Susan will be showing her original oil paintings and I will be displaying my jewelry work. A great event to perk you up from the mid-winter blues! 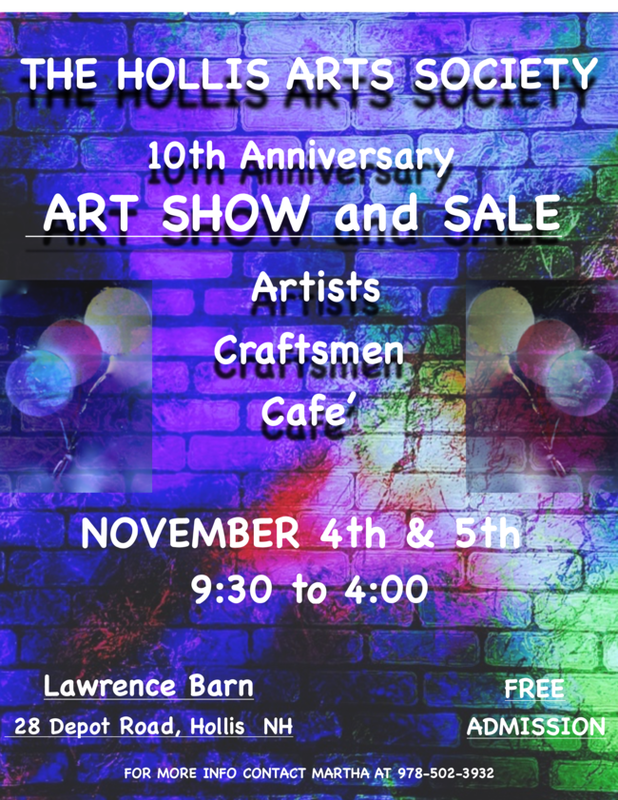 Please come visit me at the Lawrence Barn in Hollis, New Hampshire the first weekend of November for the Hollis Art Society, 10th Annual Art Show and Sale. I will be displaying all of my current work for sale, and will have some special pieces that I am making just for this show. I will have a large selection of my one of a kind jewelry on display and for sale. 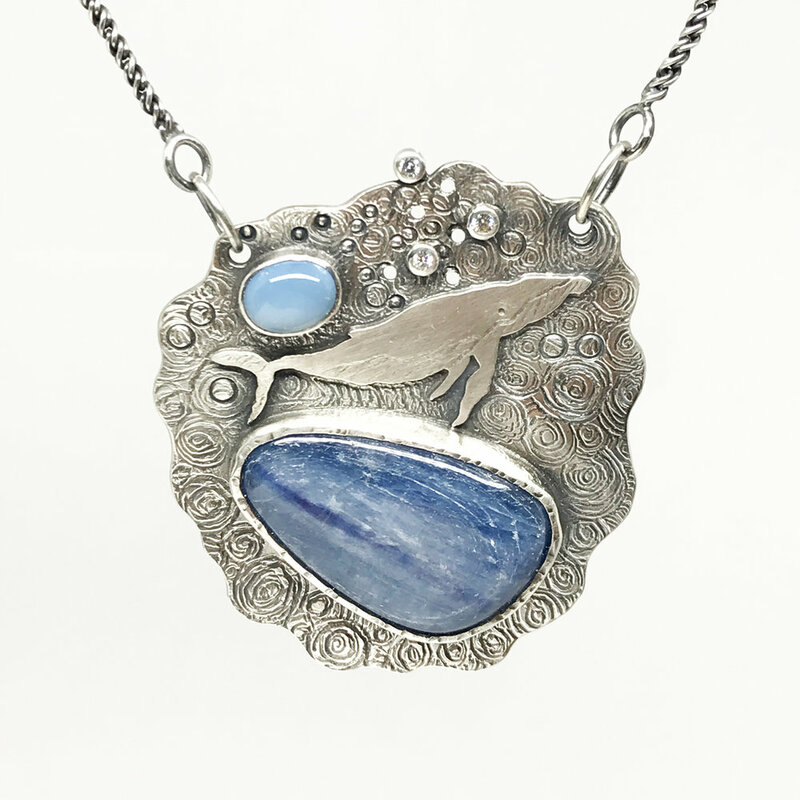 I will be demonstrating a number of traditional metalsmithing techniques and displaying my finished work for sale. 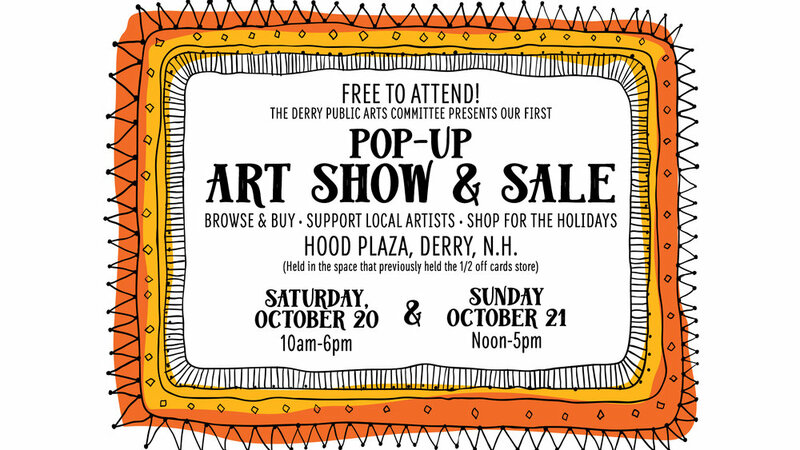 Derry Homegrown is a lively, farmers market in the heart of Downtown Derry, and I will be featured as the Artist in the Spotlight! Come visit me at Riverwalk Gallery in Amesbury. I will display a selection of my work and be there to answer questions about my process. What is Marketing and Why Do I Have to Do it? Creating your personal "Art Brand"
Two days show at the Lawrence Barn in Hollis, New Hampshire. I will be exhibiting my handmade jewelry along with many wonderful artists in a variety of mediums. Please visit me at the Lawrence Barn in Hollis NH for this two day show. Ill have all of my handcrafted jewelry for sale. and will be exhibiting along with many other talented artists in a variety of mediums.